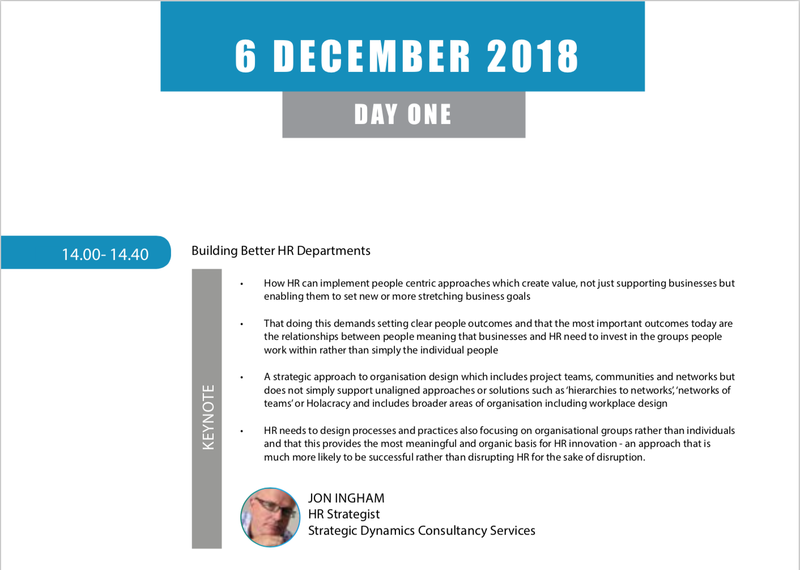 I'll be delivering a keynote on developing better HR effectiveness for BOC's Reinventing HR conference in London in December. I we know each other and you'd like a guest pass, you can come with me at a reduced fee of £690 +VAT per person for the two day conference or £590+VAT for the first day when I'm presenting - let me know if you'd like to take me up on this. 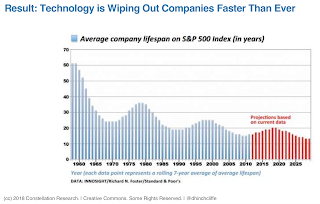 Company Lifespan - Why Do We Care? It's interesting data and does provide evidence of a VUCA world. But why why do we care? Take the current changes in car companies learning to compete with Tesla and Uber etc. Even if they move into the new digital world, they'll be employing designers and programmers in California, not engineers and machine operators in Detroit. 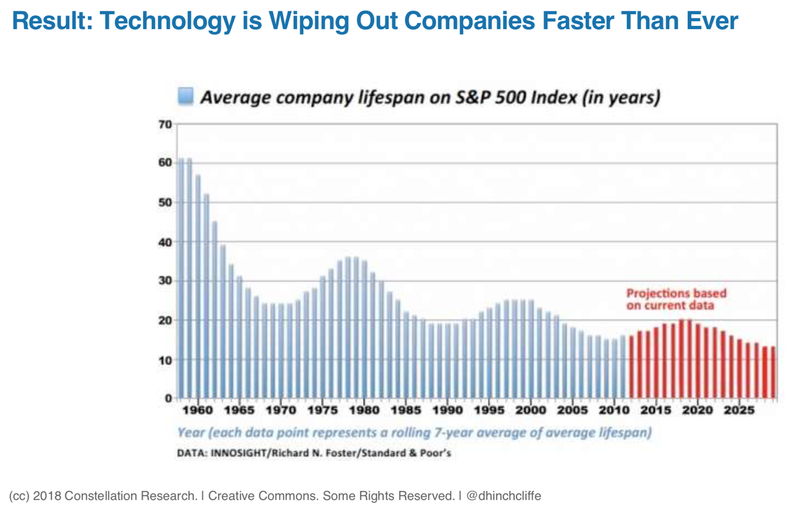 The only people who benefit from company longevity is the senior leaders and perhaps high potentials in the company, who may survive the complete transformation of the business. Which is, of course, the wrong focus. We're got enough problems with leaders worrying about their own rewards rather than the long-term performance of their businesses without this further distraction. For example, wouldn't a company actually be more successful if it managed the inevitable decline of its current activities, keeping and developing its people for the longer term as long as it can. Rather than getting rid of its people as quickly as it can, and recruiting a different set of people with more modern skills, just so its senior leaders can run the company that bit longer? Even if it means the company eventually goes to the wall? A good example may be Royal Mail - eg I'm currenty watching the RSA's event on Good Work in the New Machine Age, kicking off their Future Work Centre. Moya Greene, CEO at the Royal Mail Group, suggests their delivery business has lost 10,000 employees whilst a similar number have been created elsewhere. But these platform technology jobs are boring, low quality jobs. Deliveroo doesn't provide the same quality experience, pay or benefits as Royal Mail's delivery business. They're doing this because Greene doesn't believe that people like change (I think that's debatable, but I can imagine why Royal Mail's experience will have suggested this to her). But isn't the Royal Mail doing the right thing anyway? They don't need to become Deliveroo, it's much easier for a start-up to do this. The best thing they can do is to be the best Royal Mail business for as long as they can. Isn't it? However, I think the day after the Chequers meeting would have been even better (obviously everyone had hoped there would have been a bit more clarity by now). As it is, we’ve got lots of questions, and quite a bit of criticism, but few answers. What are the legal implications for teak outside the EU. Mark Stewart General Manager and HR Director at Airbus added to his company’s public criticism. 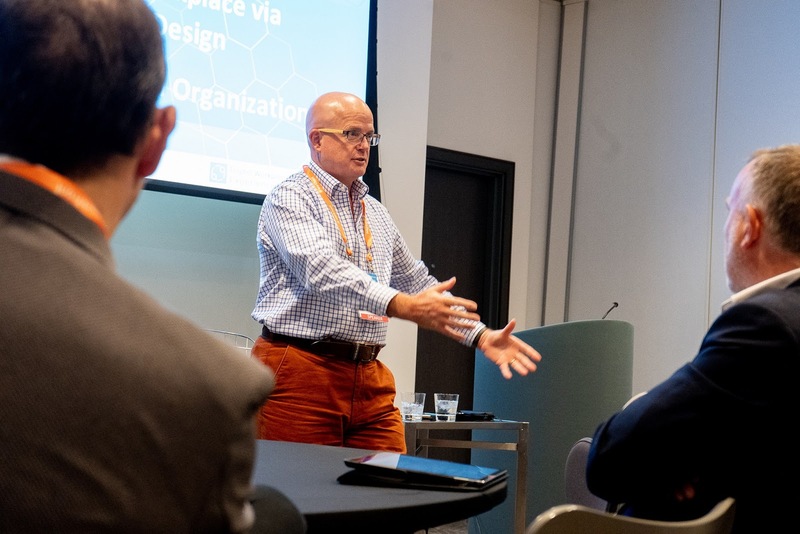 The clock is ticking and we still have no further clarity about what is going to happen so how do you run a business, especially a long-term one? Airbus in particular have integrated supply chains with 10,000 parts being shipped across EU, often crossing the channel two or three times. And they also have UK nationals in the EU and vice versa, as well as 80,000 people movements between EU and UK. For him, Brexit provides a shocking and damning inditement of where we find ourselves as a country and of how not to do business. Customers are looking and laughing at us, and wondering what we are doing. An agreed phase of transition. Airbus is trying to engage their staff but this is difficult as there is nothing positive to say. However the next phase of their Brexit engagement plan is beginning tomorrow including a survey of employees who are being directly affected. This is all true and Airbus' criticism is quite understandable. I don't think Boris Johnson's 'F*** Brexit' remark was an appropriate response to Airbus' comments. 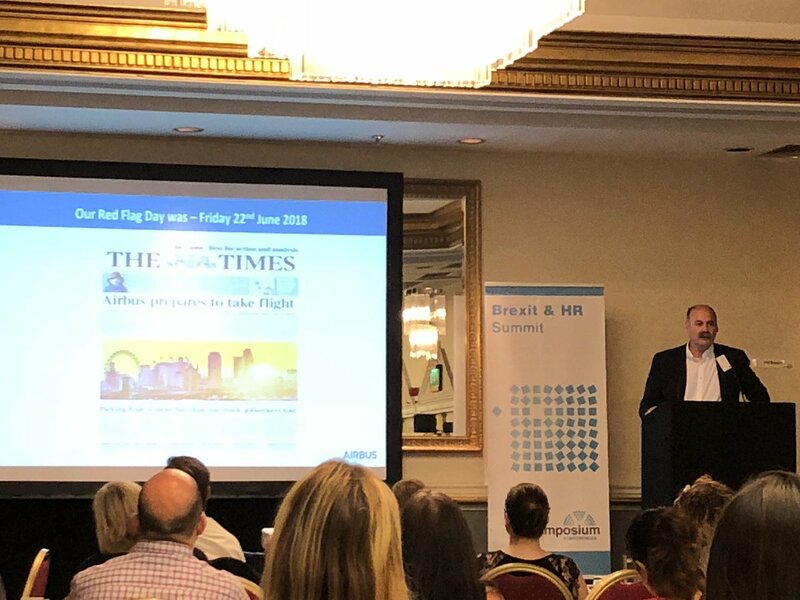 However, I do think business needs to understand Brexit is about the UK's people expressing what they want, rather than creating an easy environment for business. Trust in business is still at quite a low point and so therefore is the belief that doing things for business will benefit the population. If Airbus had avoided paying bribes - sorry, that should say making unaccounted for payments - of £100 million Euros to sell Eurowings fighters, things may have been a bit different. Actually, that's unfair. I don't mean to single out Airbus, and I appreciate them coming and speaking to us today. The point is a broader one. If many major firms had avoided all the major scandals they've been involved in, then people, including cabinet ministers, might have been more interested in listening to their case. 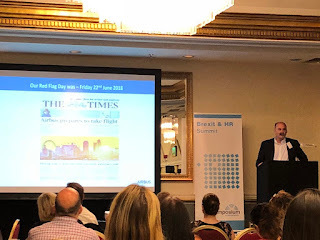 So at least part of the answer for how business needs to respond to Brexit, as well as how business becomes more trusted in what it needs regarding Brexit, and how it progresses post Brexit, all boil down to the same thing - for businesses to become more responsive to people (including through the type of engagement planning Airbus is doing) and the societies they operate within. Actually, that point sort of applies to the EU too. 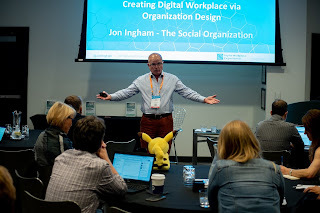 I provide some explanations of the slides on Linkedin. 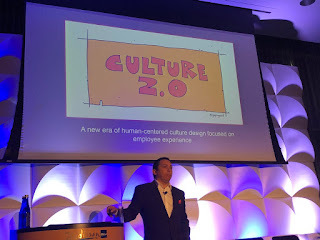 Probably my most favourite presentation at Digital Workplace Experience was on Culture 2.0, delivered passionately by Brian Solis and also illustrated beautifully by Gaping Void. 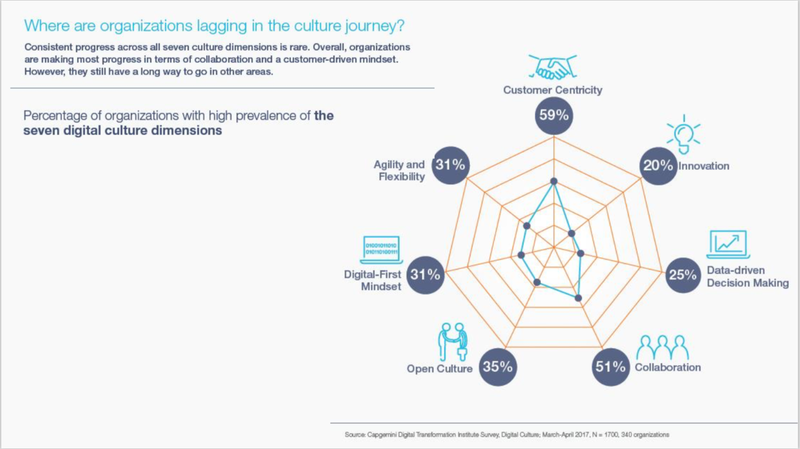 Brian noted that 62% of participants in a survey he ran with CapGemini suggested that culture is the #1 hurdle to digital transformation. 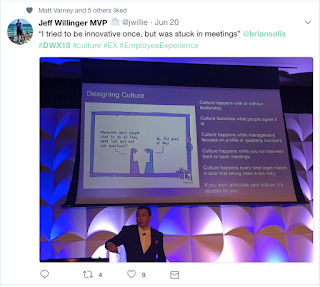 Culture is your biggest competitive advantage or your greatest disadvantage. It is the lifeblood of any organization and defines how people treat each other and how they relate to customers and stakeholders of all kinds. All of that aligns with my own experience too. However, Brian also noted that culture is ephemeral and is defined by the experiences people have and share. This makes it one of the most talked about but least understood assets in any company. But I do agree with Brian’s diagnosis of executive out-of -touchness. 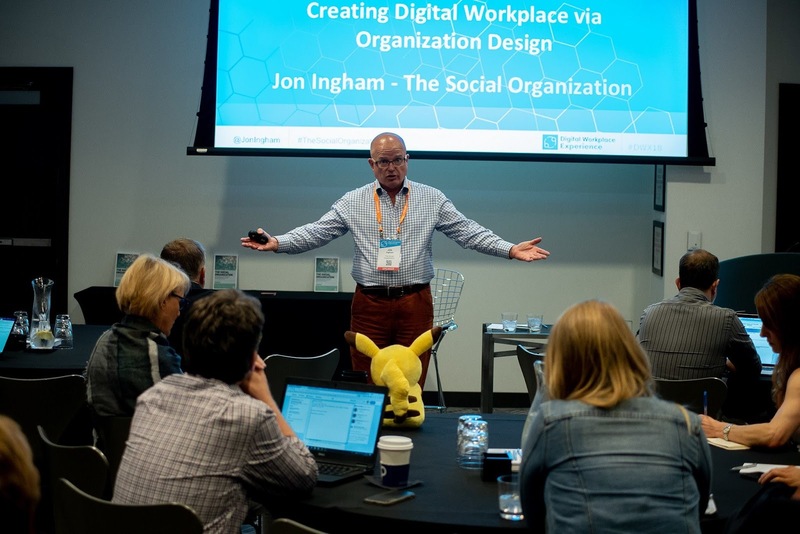 Eg he suggested that collaboration is one of the strongest aspects of digital cultures, but even here, although 85% of leaders said it is easy to collaborate in their organisations, only 41% of employee agree. There is a growing disparity between business agendas and employee needs. 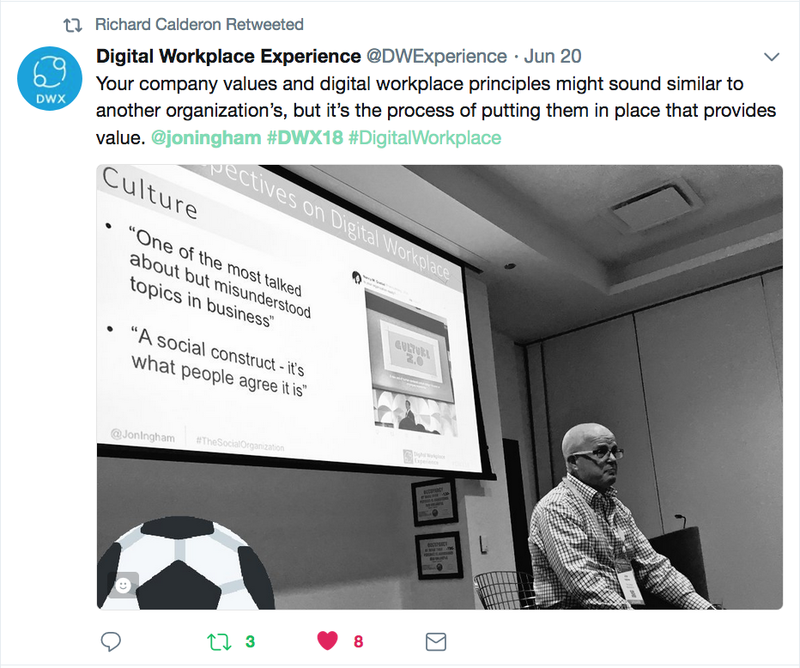 I agree that this is why focusing on employee experience is so important. Experience is something you feel and interpret in the mind which lies behind how people feel and react. 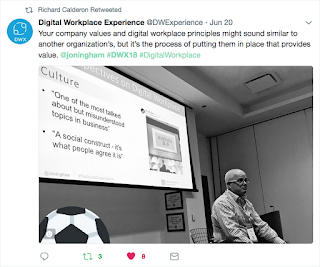 The digital workplace supports our focus on employee experience become new technologies work in modern ways. And this makes it possible to look at what's possible with work. And these titles look fine, don’t they. But I’d still encourage organisations to work out what’s really important for them rather than following somebody else’s checklist. Then these things need to be cascaded through an organisation’s architecture, and taken on by the society of people who work there. This last point is important. 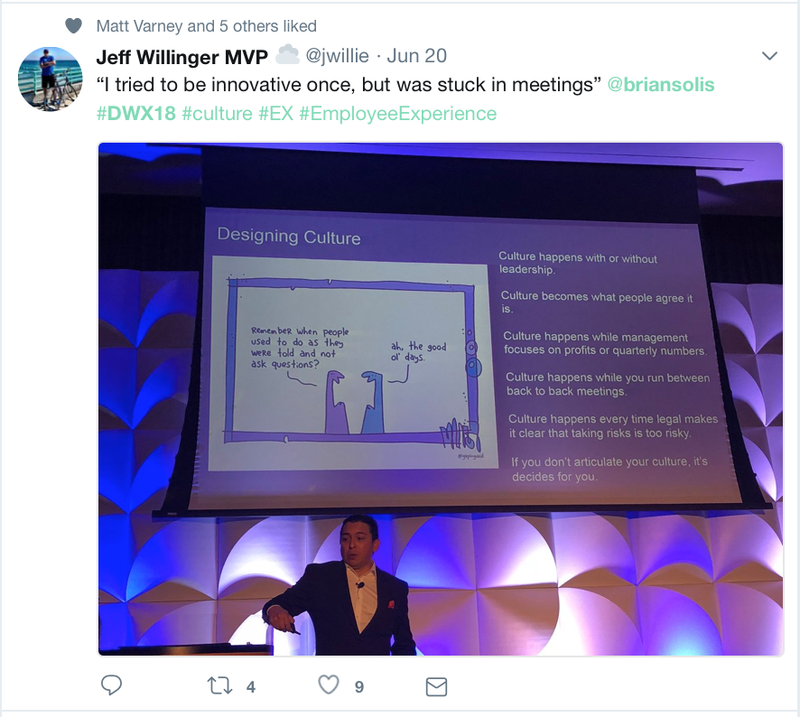 As Brian stressed, culture change isn’t simply a business initiative, it’s a social initiative. 80% of what we learn is done socially. 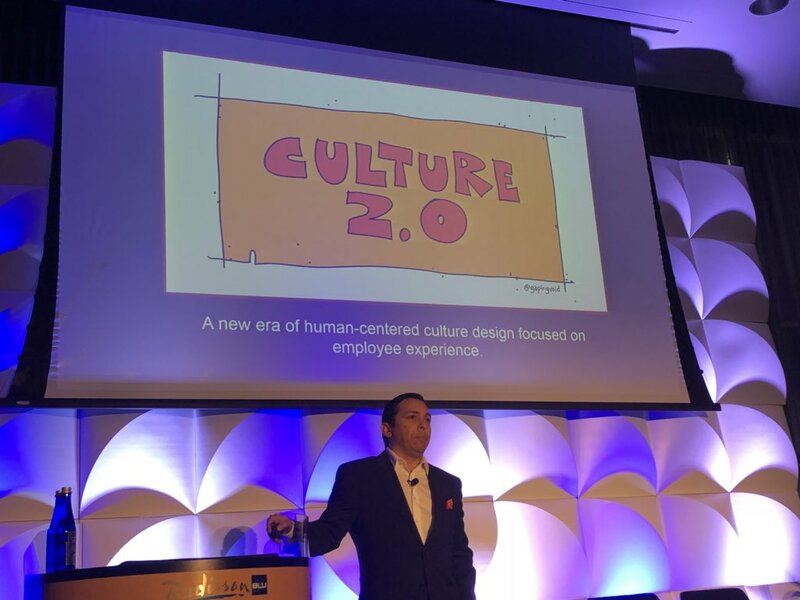 Brian suggested this new approach of human-centred cultured design focused on employee experience is what he means by Culture 2.0. 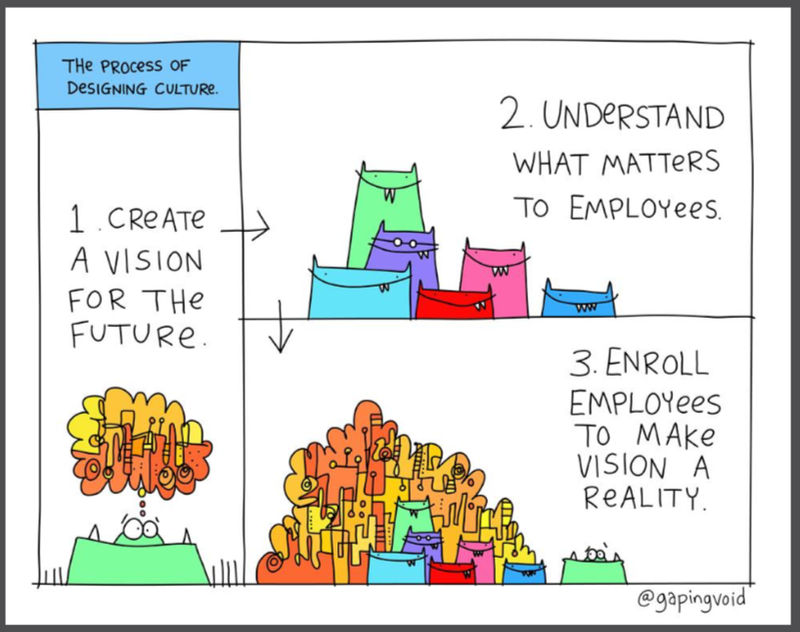 I love this idea, with the exception of the word culture. 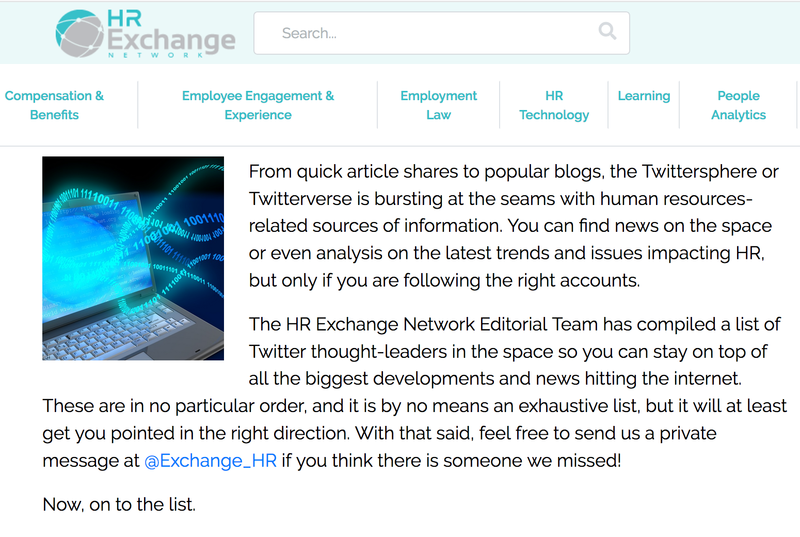 So perhaps Organisation 2.0. Or The Social Organization? 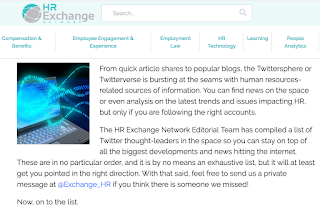 Thanks to HR Exchange Network for including me on their list of Top 10 HR Twitter Accounts You Should Follow. If you're not doing, I'm at @joningham.